Une sorte de polenta indienne avec beaucoup plus de goût et de saveurs. Very delicious & yummy !! Super healthy and tempting recipe. I do not remember seeing cornmeal here. It really looks good. 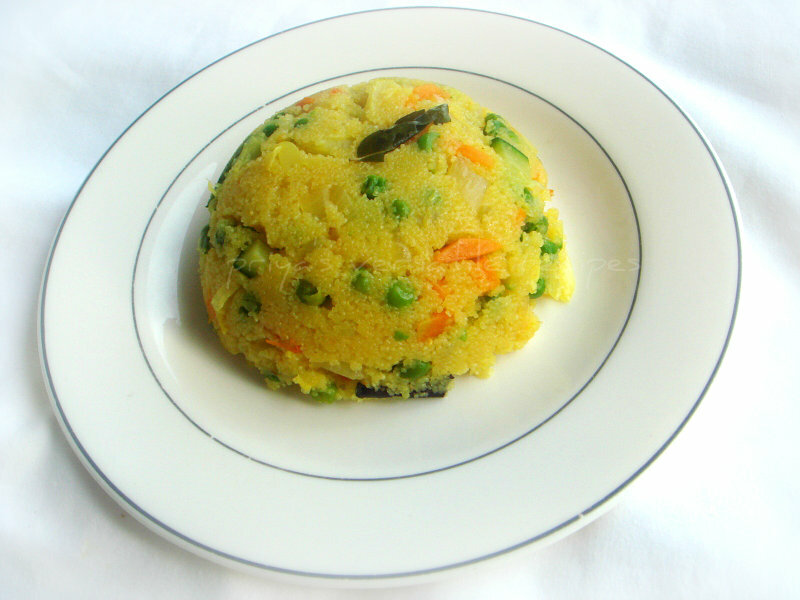 The upma/ khicadi look yumo..
Never tried it with cornmeal though. The upma looks delicious Priya. love this upma variation..looks delicious..
Would love to have this any time.Yummy and filling.